Monkey see, monkey do – or so the saying goes. One of the best ways that kids learn is through emulation, which is why it is very important for parents not to mix things up with the mantra, “Do as I say, not as I do”, as that tends to confuse the little ones who are introduced to hypocrisy through the very same person(s) who are meant to shape their values and worldview in the right direction. Having said that, if Junior has seen dad or mom carrying an iPad all day long, surely it won’t be long before they too, start to hanker after a tablet of their own? 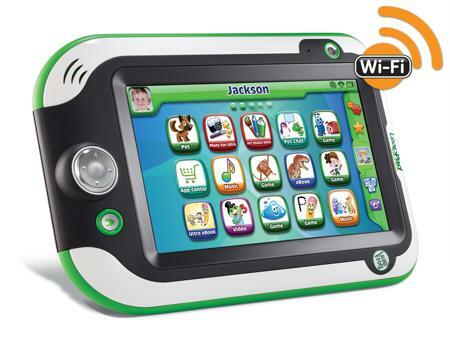 This is where LeapFrog steps in, by announcing the all new LeapPad Ultra. The LeapPad Ultra is a kid-tough tablet that will play nice with LeapFrog’s unique library of over 800 life-changing content experiences which were specially designed or approved by LeapFrog’s learning experts. In fact, the LeapPad Ultra is kid-ready right out of the box, thanks to LeapSearch by Zui, which happens to be a proprietary kid-safe web browser which parents are able to place their trust in. Not only that, you can also find the only 7” DUO TECH high-resolution screen on the LeapPad Ultra, where it was designed to help children learn to write using a stylus while supporting a slew of interactive touch experiences. Apart from that, LeapPad Ultra also boasts of a sleek new look, a long-lasting rechargeable battery, two cameras – one in the front and another at the back cameras, and video recording capability, all accompanied by 8GB of internal memory. There are also new intuitive parental tools such as a four-digit security code so that parents will always have a semblance of control over the kind of content that their little ones are able to access, while Wi-Fi allows them to directly synchronize content to their child’s LeapPad Ultra. Parents are able to browse, purchase and download apps from LeapFrog’s library of games, apps, eBooks, videos, music and more. The LeapPad Ultra will retail for $149.99 a pop, and downloads have been priced at $5 and above, while game cartridges are more expensive at $24.99.